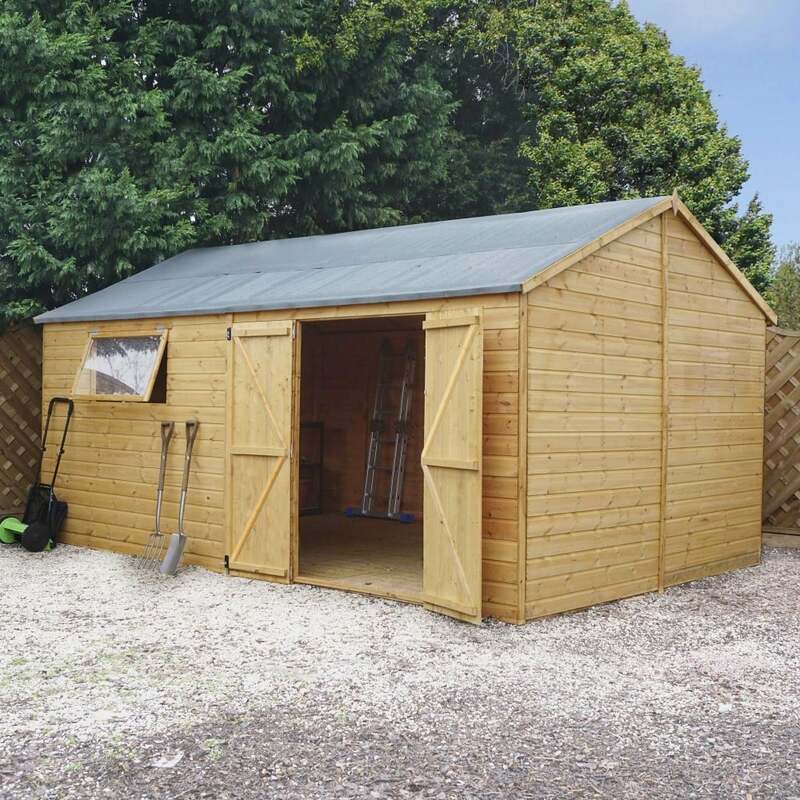 Mercia 16x10 Premium Shiplap Reverse Apex Workshop Double Door: The Mercia premium workshop features a high quality tongue and groove cladding design, perfect for a large outdoor space. The grand interior is suited as an outdoor office or garden enthusiast storage space. The Mercia reverse apex garden building features 28x44mm wooden framing for a durable and hard wearing building and 12mm tongue and groove roof and floor for a robust finish. The premium 16 x 10 workshop includes heavy duty green mineral roof felt to offer protection against unpleasant weather conditions and also a rim lock and key is supplied for extra security.